Is govt deliberately taking a collision course in Senate? 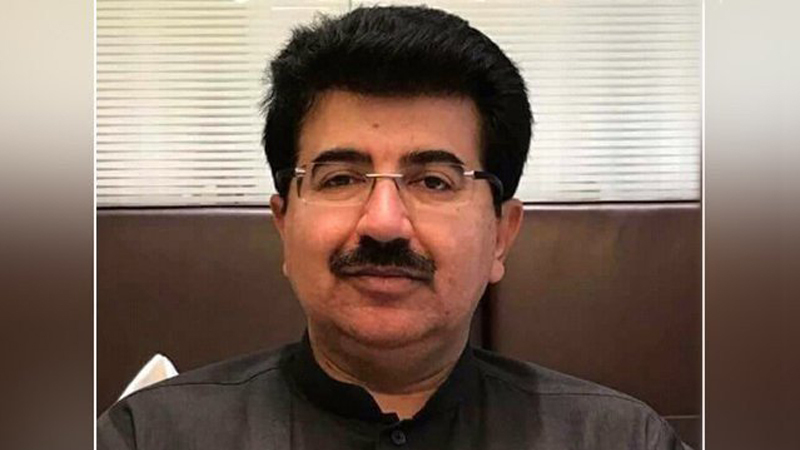 After almost a month of perpetual exchange of heated words between Federal Minister of Information and some members form the Opposition benches, Senate Chairman Sadiq Sanjrani finally gave a ruling that the House had not witnessed in its recent history. Fawad Chaudhry, the minister concerned, was barred from entering the Senate chamber for the rest of the sittings of the current session. The pandemonium started when Chaudhry responded to the calling attention notice by Senators from PkMAP, Usman Kakkar and Sardar Azam Musakhel, as well as the National Party Senator Kabir Shahi, drawing government’s attention on the slow pace of development in Balochistan. In response, the information minister said that these questions made no sense because around Rs42 trillion had been given to Balochistan for the uplift of the province. But he did not finish without adding the taunt directed at the PkMAP leader Mehmood Khan Achakzai of having appointed his brother as the governor of the province and accusing him of having made ‘the whole government his slave’. The Minister did not stop there. He blasted “.. and now [these people are] giving us lectures. Stop it, you’ve no right to talk, just sit down”. This prompted the opposition benches to rise in protest and announce a walk out until the minister apologised. The minister, on the other hand, refused to hear the Chairman’s repeated direction and calls to order. The opposition insisted upon getting an answer from the government over the unfortunate and brutal murder of Police SP Tahir Dawar, whose body was recovered in Afghanistan. The minister failed to address the serious issue with satisfactory answers, which prompted the opposition once again to protest strongly. The minister continued his diatribe against the members of the opposition benches with taunts and provocative derisions. Upon which, the Chairman gave the unpleasant ruling, barring Chaudhry from entering the Senate. In the late afternoon, the minister held a press conference briefing the media about the decisions taken in today’s cabinet meeting. Among other things, he spoke about the bar on his Senate entry. Unfortunately, far from realising the importance of meaningful debate in the House of Federation on serious issues of national importance, he attacked Senate Chairman’s representativeness and position as the member of a democratic house. “He is not even directly elected, while I have been elected by lakhs of people”, Chaudhry said. He also hinted at the Cabinet’s boycott of the Senate session in so many words, “if this bar continues, the cabinet can also devise a strategy. Senate Chairman should decide if he can handle the business of the House without cabinet members”, Chaudhry added. Before Chaudhry’s press talk, the Prime Minister had already expressed his displeasure over the events in Senate. “No one has the right to humiliate the ministers”, the Prime Minister was reported to have said. After which, he gave Pervez Khattak, the defence Minister, the responsibility to mediate with the Senate and amicably settle the matter. This entire episode demonstrate government’s inability to understand how the business of state is run in a parliamentary democracy, to say the least. The contention that ministers can continue libel, accusations sans evidence against individual members of the opposition, taunting and self righteous behaviour, and digressing from every question raised on its policies by the opposition by bringing in generalised accusatory statements, is preposterous. The Prime Minister must know better, if his first-timer-in-the-Parliament ministers can’t realise something as simple as the principle of ‘trias politika’ – the separation of powers – the supremacy of the parliament and government’s obligation to be accountable to the parliament. That the parliament can be threatened to run its business without the cabinet is either extreme naïveté [on part of the govt] or a well calculated strategy. Commenting on the issue, Ahmed Bilal Mehboob, head of the democracy watch organisation PILDAT, says that it might be the latter because neither cabinet members nor the Prime Minister are oblivious of the parliamentary system and its norms. “It seems as if they are doing it deliberately as part of their general attitude of arrogance,” Mehboob opines. It is also very disturbing to see that the Prime Minister had neither reacted to the libellous attitude of his ministers nor did he say a word when his Info minister challenged the mandate of the Chair as the head of a democratic house. These ministers should be given sense, says Ahmed Bilal Mehboob, by the seasoned parliamentarians of their party. He says that the fact of the matter is that if the cabinet decides to boycott either or both houses of parliament, the sole loser would the government. However, this appears to be completely lost on the ministers, he adds. None of the task forces made by the PM would be able to achieve a single objective, if their recommendations are not backed by legislation, reminds Mehboob. For every piece of legislation, the treasury will have to come to the parliament. By diversionary tactics like this, the government might be able to prevent substantive debate and questions of the opposition on matters as serious as the recent assassination of the senior police officer, the terms of the agreement with China in PM’s recent China visit or other issues pertaining to economy and national security. But the cost would be paid by the government in the form of zero legislation. Someone in the cabinet must do a cost benefit analysis of this strategic stupidity that some of the PTI ministers are adamant to exercise.